I was going to put the full name of this cookie as the title but it was a little long! Here we go- chocolate chocolate chip white chocolate chip cookies. Woo that’s a mouthful! And a tasty one at that. The first day I made these, I probably ate at least 8. Maybe more, um probably more. Now this is the bad thing about being back in the States, too much kitchen space! And far too many chocolate chips at my disposal. This was my first try at a Pioneer Woman recipe. I’d heard so much, perused her site many a time, but never taken a dip! 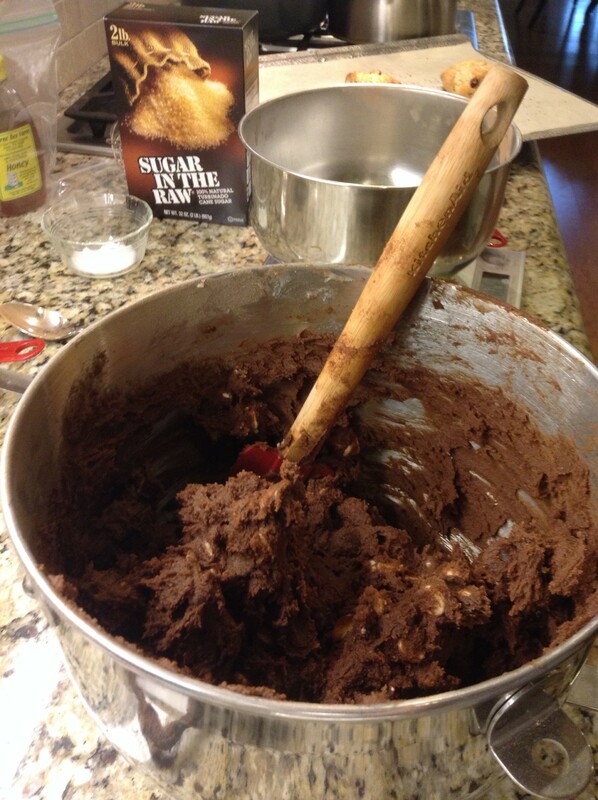 This makes a massive amount of cookies (read enough for me to eat a bajillion and then take this many…. to work the next day and have some frozen cookie dough in the freezer). They are addictively amazing. I might never make them again, they were so good. Scratch that! I will be making them again but bi-golly have something to take them to because the next day, even though I brought that massive container to work, I ate 5. I emailed my team and said- Subject: There are three cookies left… Email: Please eat before my cookie quota reaches 8 today. My only compliant was that they spread quite a bit. Even after chilling the dough and freezing it before baking each batch. This is absolutely due to the high butter content. 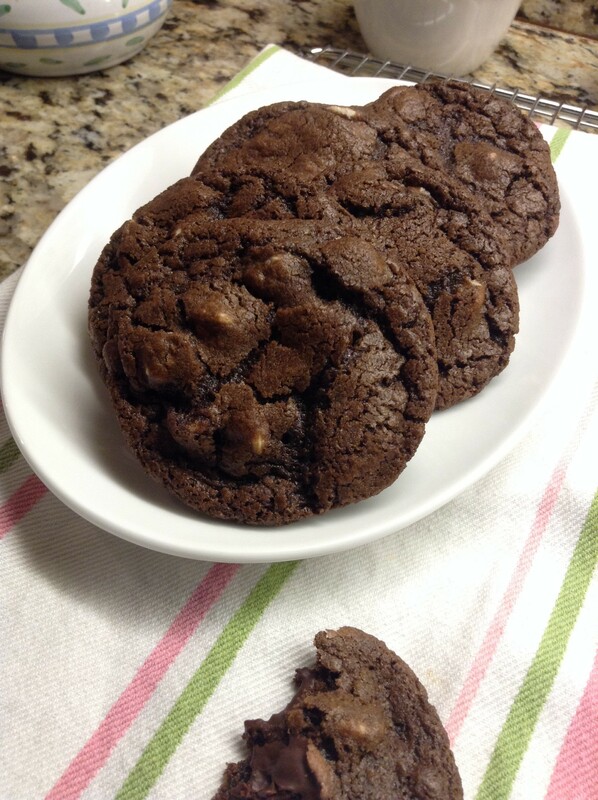 It’s not a deal breaker- but I definitely like my cookies to be a bit thicker in the middle. 😀 Because that’s where they’ll be going… 🙂 If, sorry when, I try these again, I’ll be increasing the proportion of flour. Preheat oven to 350°F (160C). Cream butter and sugar together until fluffy then add the eggs one at a time. Mix in vanilla (if using liquid) or add a pinch of vanilla powder to the dry ingredients. Whisk together dry ingredients, then add in batches to the mixer, mixing until just combined after each addition. Gently blend in chocolate chips and white chocolate chips. Scoop out cookie dough, rolling into balls on parchment lined cookie sheets. To help with spreading, freeze for about 15 minutes before baking. Bake for 9 to 11 minutes or until cookies are barely done but still soft and chewy. Let cool on a baking rack. Enjoy! 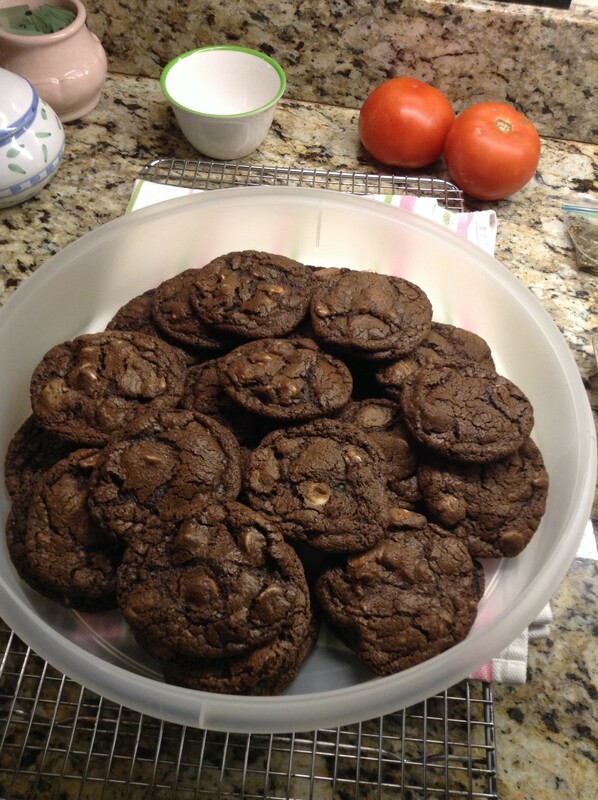 **Don’t feel like making 3-4 dozen cookies? Half the recipe or freeze the extra cookie dough in balls!